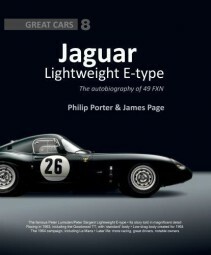 This exhaustive book tells the story of the 1963 Lightweight Jaguar E-type that was famously given an aerodynamic makeover by Dr Samir Klat of Imperial College, London, for the 1964 season. Driven by Peter Lumsden and Peter Sargent, the sleek car proved its high-speed potential by running third in the GT class at Le Mans that year until forced to retire soon after nightfall, but three months later it achieved a prestigious result - best-placed E-type and fifth in the GT class - at the Tourist Trophy at Goodwood. 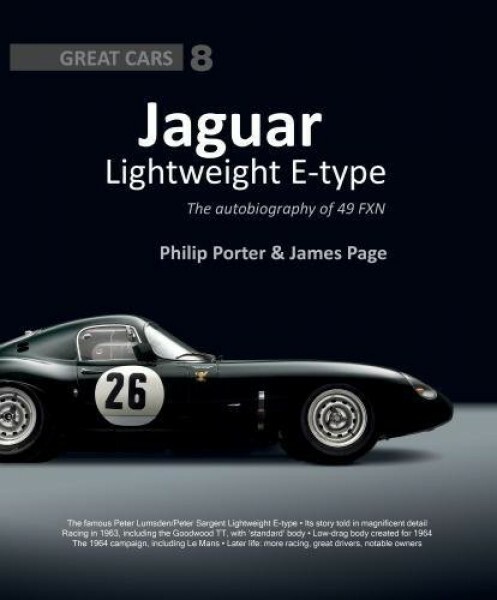 Known by its registration number, 49 FXN, this celebrated Lightweight E-type has remained active for most of its life, and the exploits of a succession of notable owners form a fascinating aspect of the book.